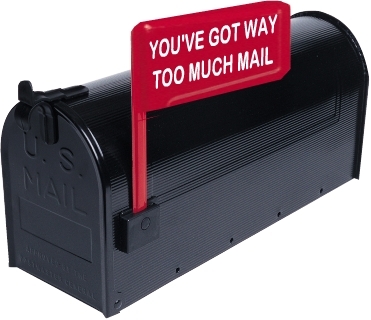 We all get dozens–or more–of new email messages each day. Most of us have a routine, either at the beginning or end of the day, when we look through the new arrivals, make some assessments on urgency and importance, and either deal with the messages right away or label them for follow-up. On a normal day the time we spend on inbox triage can be just a few minutes. But at busy periods, or after a few days away from work, the backlog can be painful. Wouldn’t you rather put your time towards more valuable activities? Have you noticed any patterns in your inbox triage? What I’ve found is that often messages from the same few people get dealt with right away (or deleted), messages with attachments take more time to review, some things are interesting without being urgent. So, using Categories and Rules in Microsoft Outlook, it is possible to train the software to perform this basic triage to 80% of new messages, freeing up precious brainpower for work, or reading online comics. Below are the steps to follow, which should take less than 10 minutes to complete. You can also download a simple set of instructions with screenshots. Create a search folder to view categorized messages in one place. Create rules to sort incoming messages into your folders. Maybe this is Outlook 101 for many of you, but I hope you find that investing a few minutes to set up these rules will help. Next Post What is personal development?